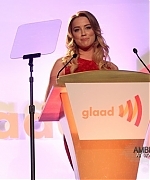 Amber recently went at the GLAAD Celebrates 25 Years Of LGBT Images In The Media. 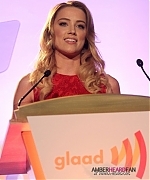 She also animated the show of this event. I have uploaded pictures from her arrivals, the show and inside. She’s beautiful with her red dress. You can see now more than 50 pictures in the gallery.